ArabSaga: "Lebanese and Syrians: Good riddance, Sarkozy"
Should French voters boot out French President Nicolas Sarkozy from the Elysée in two weeks’ time “most Lebanese and Syrians would feel somehow vindicated,” according to Eyad Abu Shakra, a veteran political analyst writing today for the Saudi daily Asharq Alawsat. Sarkozy faces an uphill struggle in the May 6 second round of the presidential election, after coming second in Sunday's first ballot. He won 27.1% of the vote, while his Socialist rival François Hollande took 28.6%, the first time a sitting president lost in the first round. Hollande's narrow victory on Sunday gives him the upper hand in the May 6 runoff. “No one in genuine democracies chooses a government or president based on external wishes or directives. But in a world of interlocked interests and grandiloquence about human rights and democratic choices… victims are entitled to rejoice when free voters pass a fair verdict against someone who undermined their interests. “‘Sarkozy’s France’ talked and acted adequately as concerns the now-stumbling Arab Spring. But its words and deeds won’t erase from the memory of the Lebanese firstly and the Syrians secondly that Nicolas Sarkozy, more than any other leader, undercut the Lebanese people’s March 2005 uprising and rehabilitated the Syrian regime” of President Bashar al-Assad. 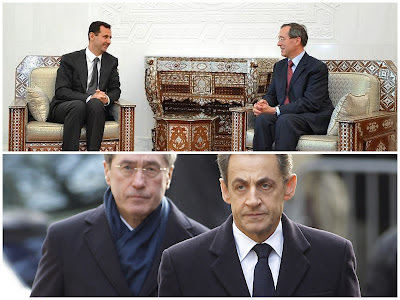 Sarkozy, who assumed office in May 2007, quickly chose to stage a grand entry into the slippery politics of the Middle East by reversing Jacques Chirac's policy of isolating Syria. 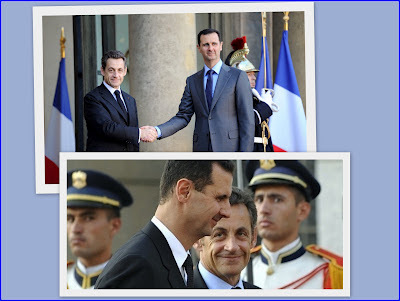 In 2008, he invited Assad to the July 14 Bastille Day military parade, the high point of the French national calendar. Two months later, in September 2008, Sarkozy became the first western head of state to visit Damascus, thereby cutting Assad slack in his effort to ward off being seriously investigated for the 2005 murder of former Lebanese prime minister Rafik Hariri and other Lebanese leaders, which Chirac blamed on Syria. 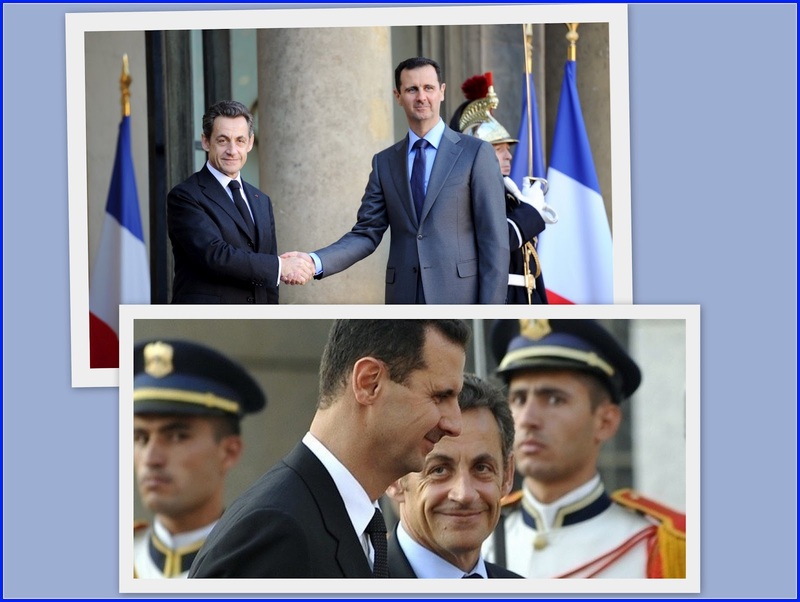 Assad paid two working visits to Paris in November 2009 and December 2010 to consolidate bilateral ties.